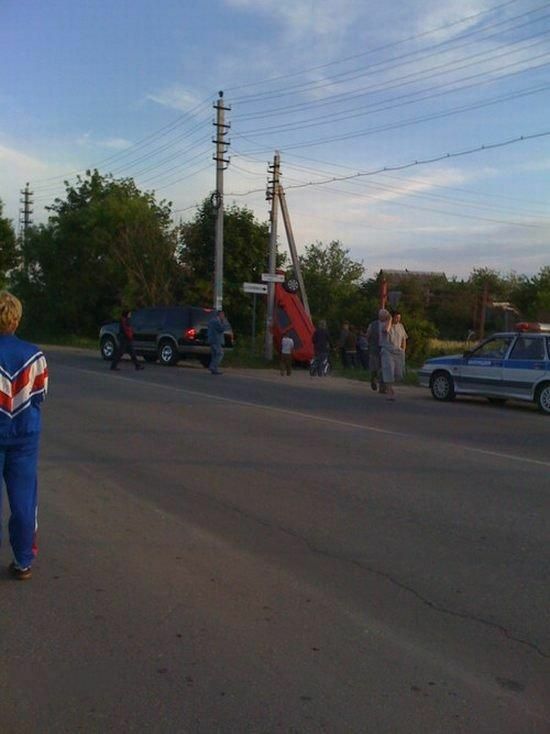 It happened in the suburb of Moscow. Luckily, the female driver was not injured. 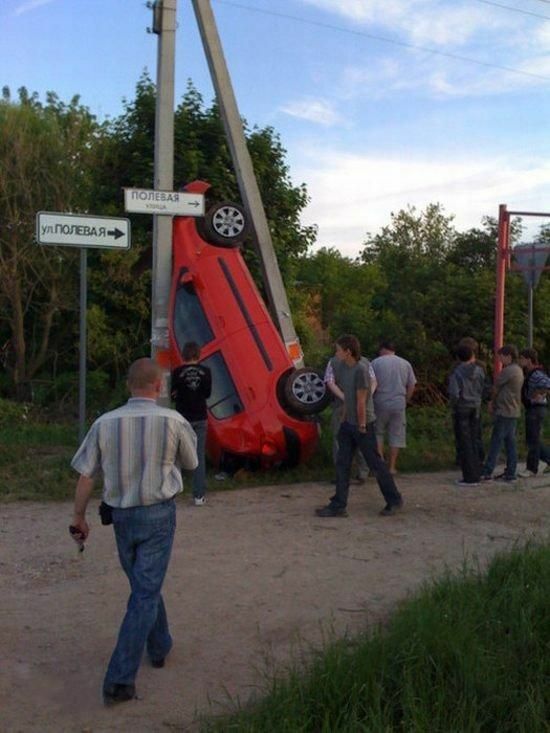 But I can’t figure out how she could put her Hyundai Getz in this position!